The Cartoon Art Professional Society is holding an auction to benefit Stan Sakai. 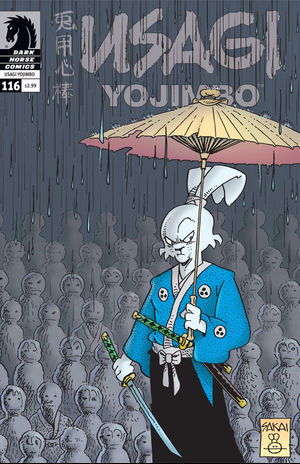 Stan Sakai, creator of Usagi Yojimbo and a cartoonist with 30 years in the business, is in trouble. His wife Sharon is gravely ill, and needs more care and medication than their insurance can cover. CAPS, the Cartoon Art Professional Society, is calling on fellow creators and artists to help their friend, by donating artwork to an auction that will raise cash to cover the Sakais bills. CAPS, a non-profit networking group for cartoonists co-founded by Sakai's Groo The Wanderer compatriots Sergio AragonÃ¨s and Mark Evanier, intends to donate 100% of any cash raised by the auction to the Sakais. Any artist interested in contributing should send the art - including the artist's name, estimated value of the piece, and any additional comments - to CAPS P.O. Box 656, Burbank CA. 91503. Anyone who just wants to help out but can't go the auction route is encouraged to visit Garage Art Studios!, where a PayPal donation function has been set up. Again, all funds raised by Garage Art Studios! will go direct to the Sakais. Best wishes to Stan and Sharon, at this difficult time.